I love Moroccan food - the fruit and meat combinations, the spices, the textures, the colours, the aroma and the flavours - they are all my idea of heaven. Accordingly, when the French Fridays with Dorie pick for this week was a Moroccan inspired dish, I was excited. However, I won't say that I was immediately excited, because I didn't actually know what chicken b'stilla (pronounced bee-stee-ya) was. I had to do some research to work out the history of this dish. 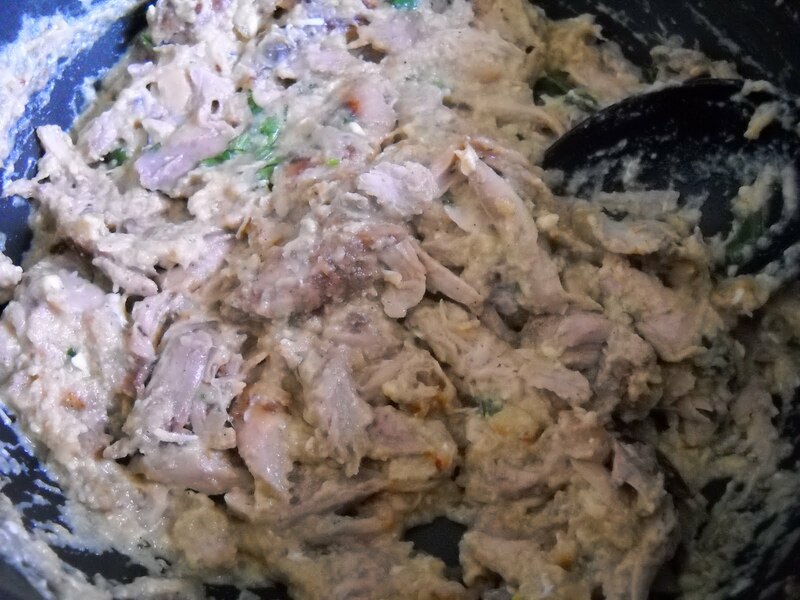 Apparently, the Moroccans used to bake pigeon into the b'stilla; I think it would be pretty hard for me to come by pigeon, so I am relieved that Dorie modified this dish. 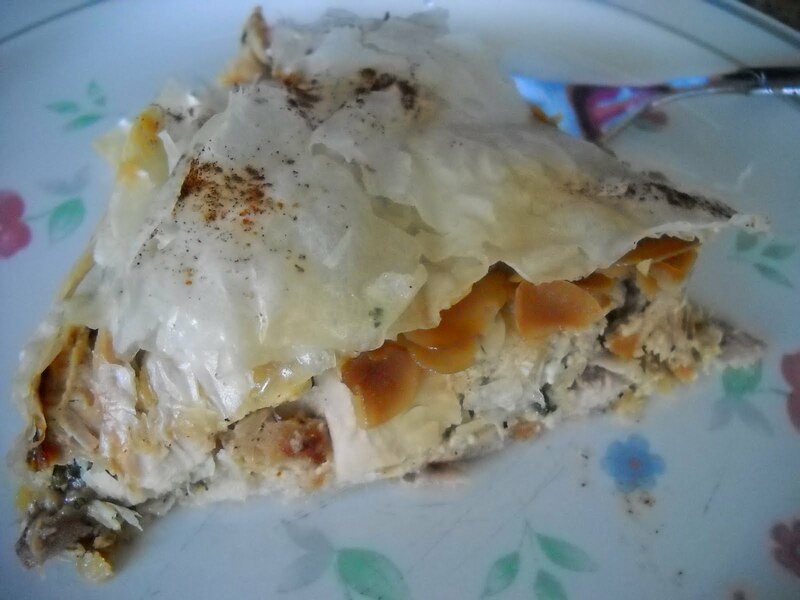 The b'stilla consists of marinated chicken, steeped in a spiced broth, which broth is subsequently thickened and used as a sauce for the chicken inside the filo pastry crust of the pie. 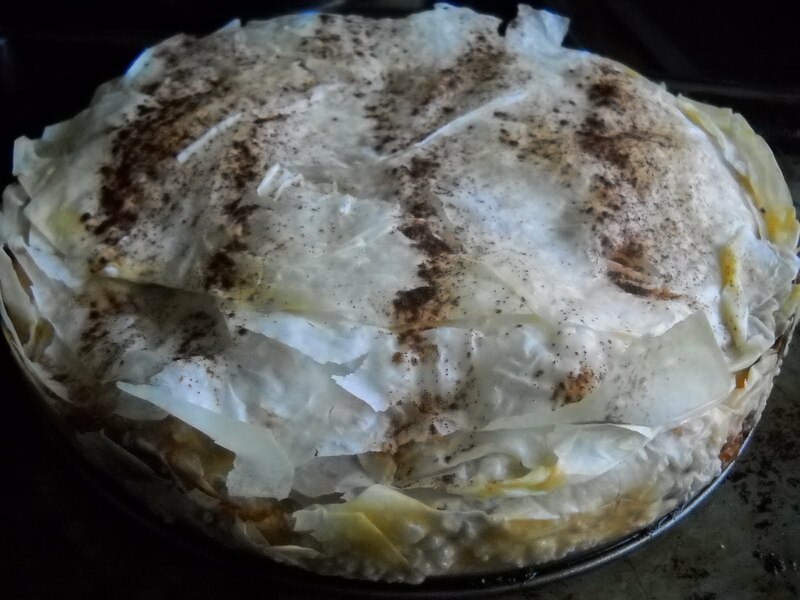 The flavours of the pie are a mixture of sweet and savoury, similar to the fruit and meat combinations of Moroccan tagines and jewelled cous cous. The saucy chicken is baked inside a filo pastry crust, and you end up with a heavenly, tasty, saucy pie. And after baking for another 40 minutes or so, you end up with a beautiful aromatic pie, a slice of which is featured at the top of this post. As a side dish to serve with this pie, I think that jewelled cous cous would be perfect. 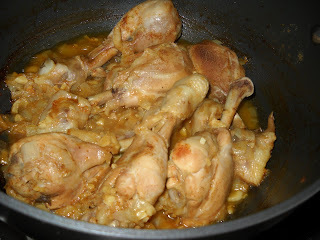 I loved this dish, and would definitely make it again. To see what everyone else thought of the chicken b'stilla, visit the LYL section for this week at the FFwD site. 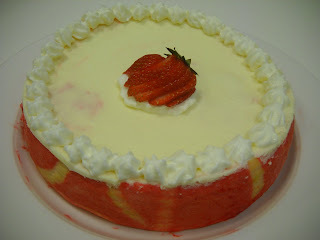 I then decorated the dessert by piping whipped cream around the outside, and topping it with a fanned strawberry, as seen at the top of this post. 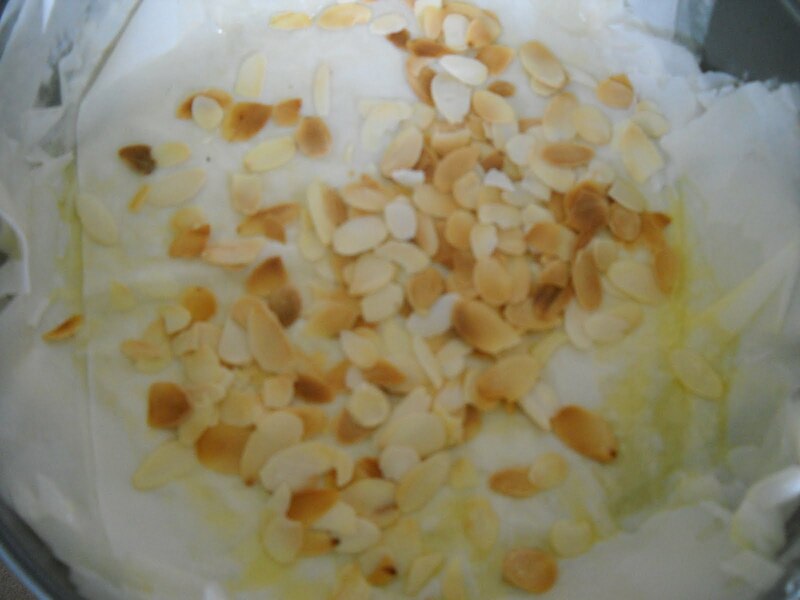 The bottom layer of the dessert did not set properly, but together, the combination tasted good. I would happily make this again with a different cheesecake recipe. 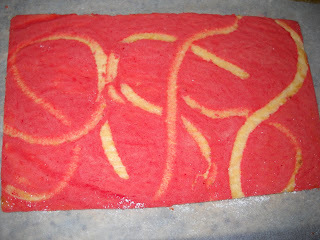 To see all the wonderful and creative efforts of the other Daring Bakers with this dessert, visit the Daring Bakers blogroll. I adore bundt cakes. I love the huge variety of tins that you can buy to make them in all shapes and sizes. 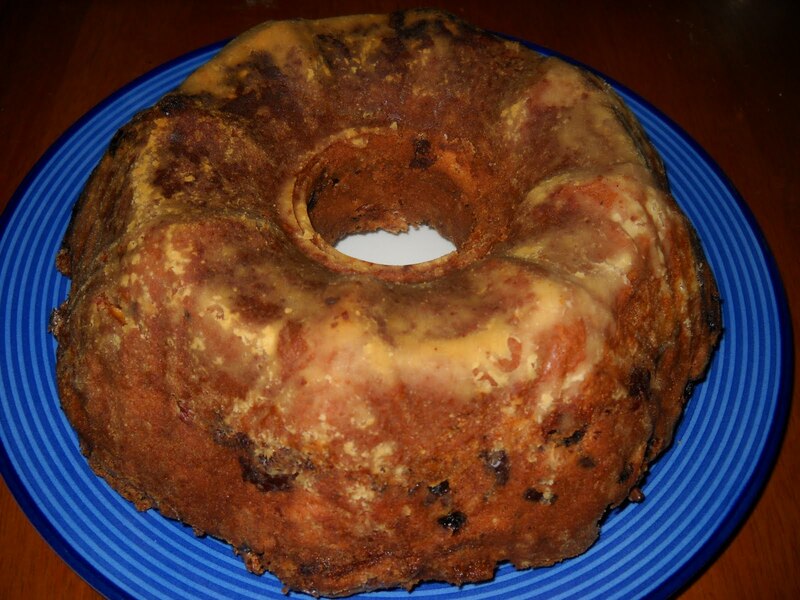 I love the infinite variety of flavours and combinations that can be included in bundt cakes. And I love the fact that they don't need any decorations to look spectacular - they are spectacular just as they are. 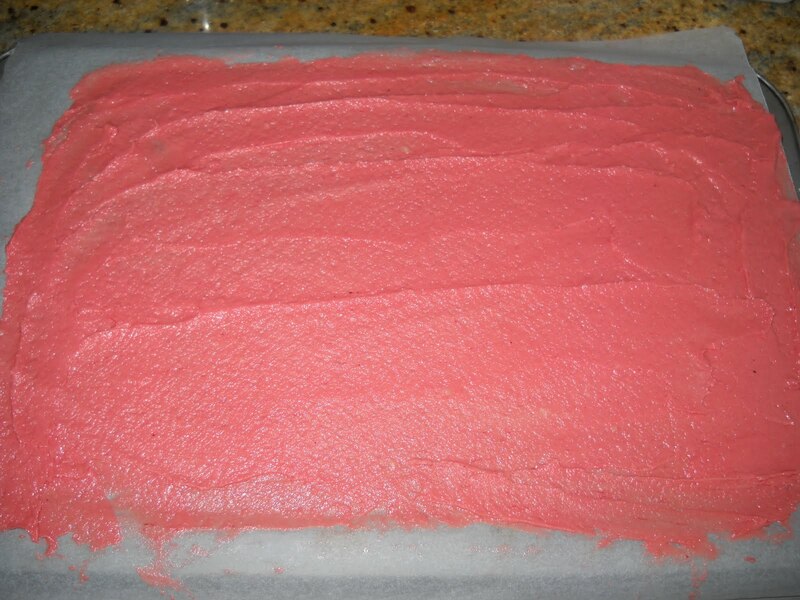 As with most other TWD bakers, I found Dorie's direction to cover over the top swirl (which ends up on the bottom of the cake) with batter a little difficult, and it didn't work that well. On unmoulding the cake, I lost some of that swirl. I also wasn't that keen on the raisins, as they burnt a little where they were exposed to the open top of the cake and the sides of the pan. However, I overall enjoyed this cake and its complex mix of flavours and textures. I think my work colleagues agreed with me, because the cake disappeared fairly quickly. Thanks to Jennifer, our host this week - she will have the recipe on her site. To see what the other TWD bakers made of this bundt cake, visit the TWD blogroll. 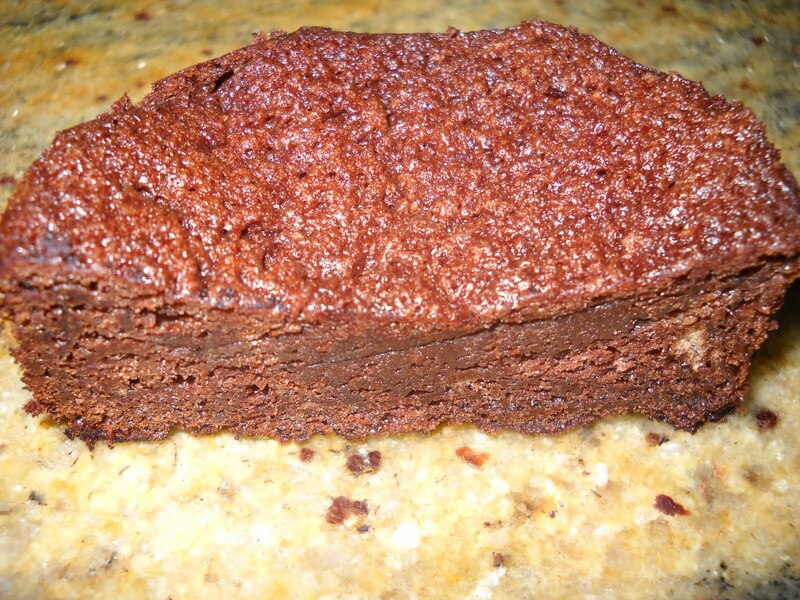 This week's French Fridays with Dorie recipe is Michel Rostang's Double Chocolate Mousse Cake. This cake is basically comprised of a baked chocolate mousse base, onto which you pile more chocolate mousse which you can serve cold, or which you can bake and serve warm or cold. 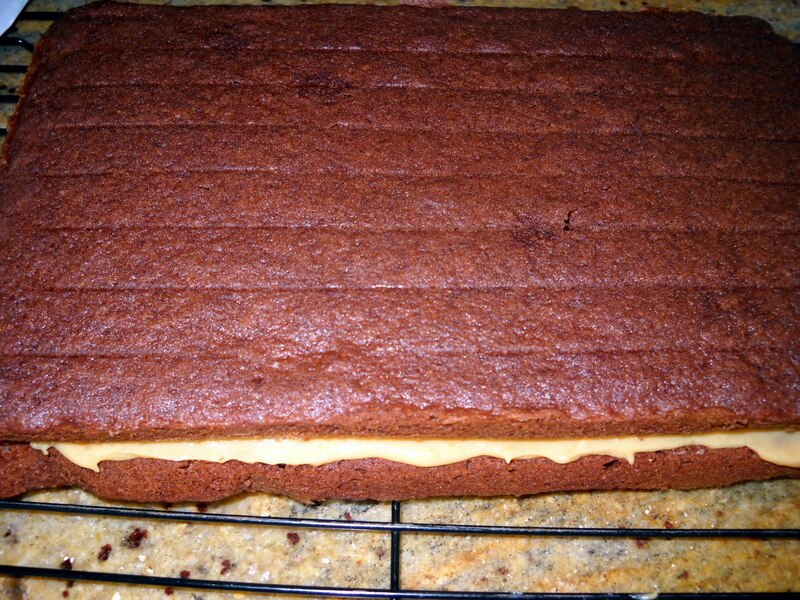 I made one large cake and one mini cake (for me). 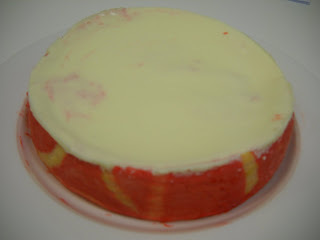 I was surprised at how light this cake is - it weighs about nothing. 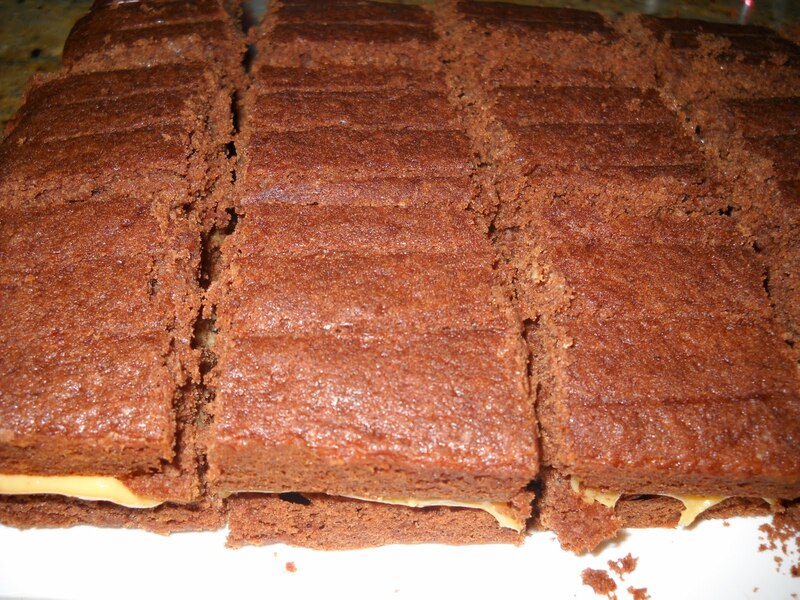 I made the double baked version, which I served cold. 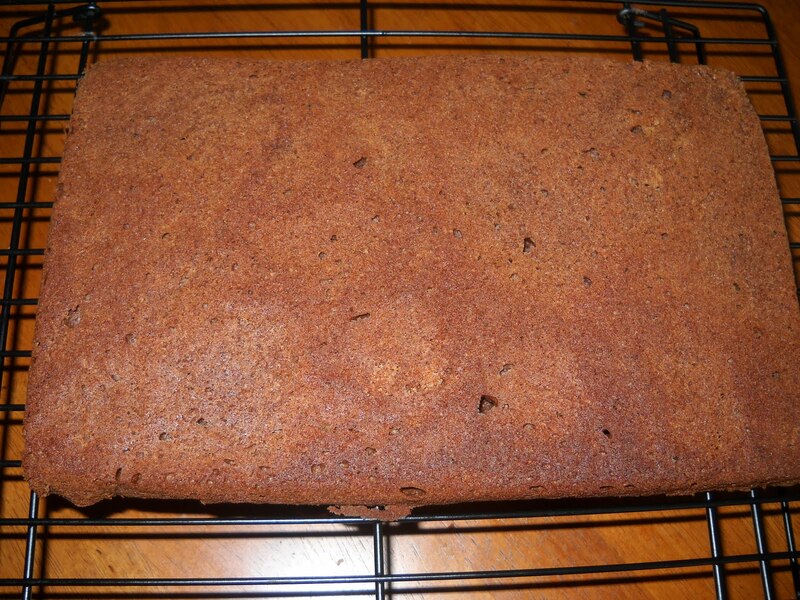 It is a very rich chocolatey cake, so it is just as well that it is light, as a small piece is enough. 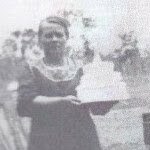 The cake is also not very tall - my mini one was slightly taller than the big one, but there is not acres of cake to go around. To see what the other FFwD members thought of this cake, visit the LYL section of the website for this week. 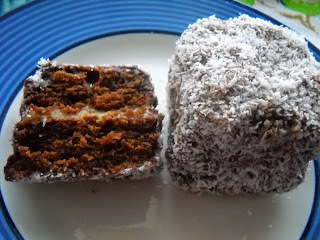 Mr P of Delicious Delicious Delicious has once again challenged us to Re-Invent the Lamington. As an Aussie, I believe that it is my civic duty to make a contribution, especially as many of the people who enter this event have never tasted or even heard of a lamington before. And Australia Day is just around the corner on 26 January! For some more basic information about the lamington, see my earlier post on lamingtons. 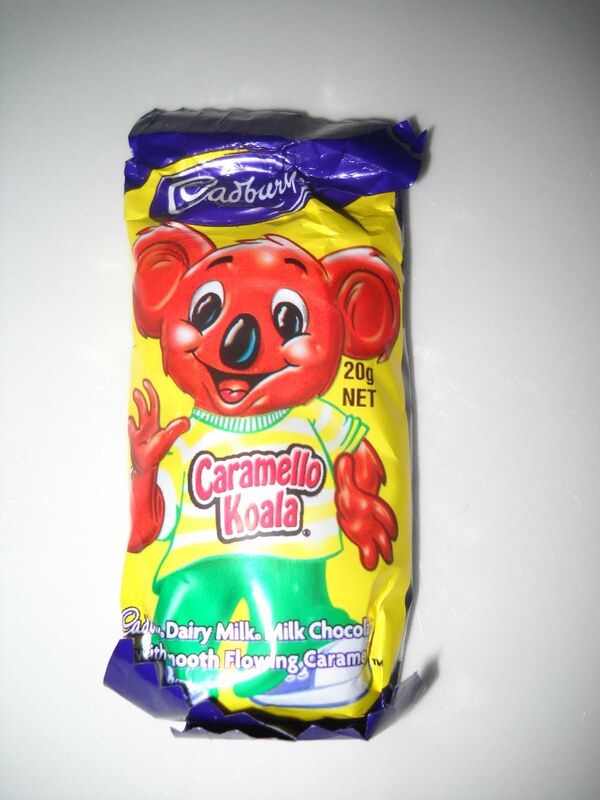 For intellectual property reasons, I cannot name them after the Caramello Koala or its more adult cousin, Caramello chocolate. 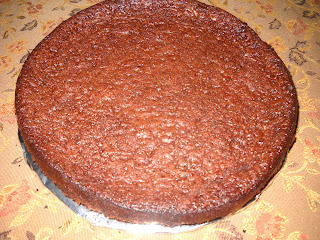 The recipe that I used to make the chocolate butter cake is from the Margaret Fulton Cookbook, which you can find reproduced online here. 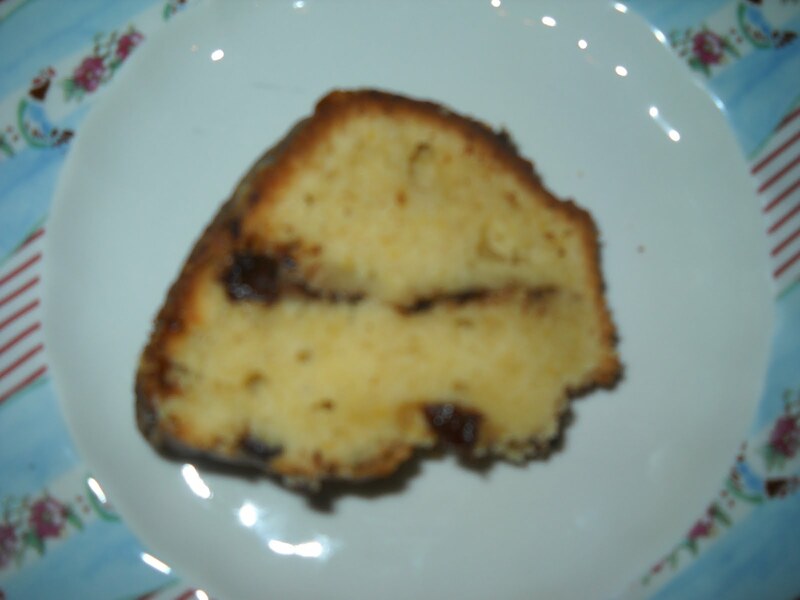 (I originally tried using cocoa instead of melted chocolate for the chocolate flavouring - this did not give the cake the desired chocolate colouring, so I don't recommend it.) 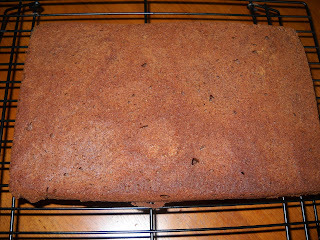 Margaret is an Australian cooking icon, so it is fitting that I used her cake recipe for this very Australian treat. 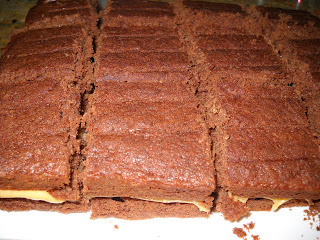 The recipe for the dulce de leche is David Lebovitz's baked version, which you can find here. 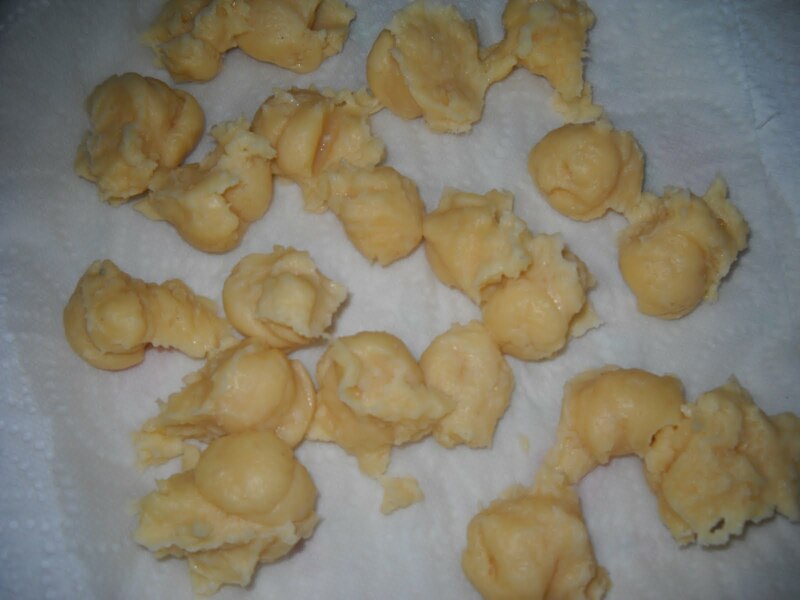 Baking the condensed milk in the oven spares you from exploding cans and nasty burns from wildly spurting hot caramel, often associated with making dulce de leche on the stovetop. The icing is just 2 cups of sifted icing sugar, 3 tablespoons of cocoa, 1/2 teaspoon of butter and 3-4 tablespoons of boiling water. 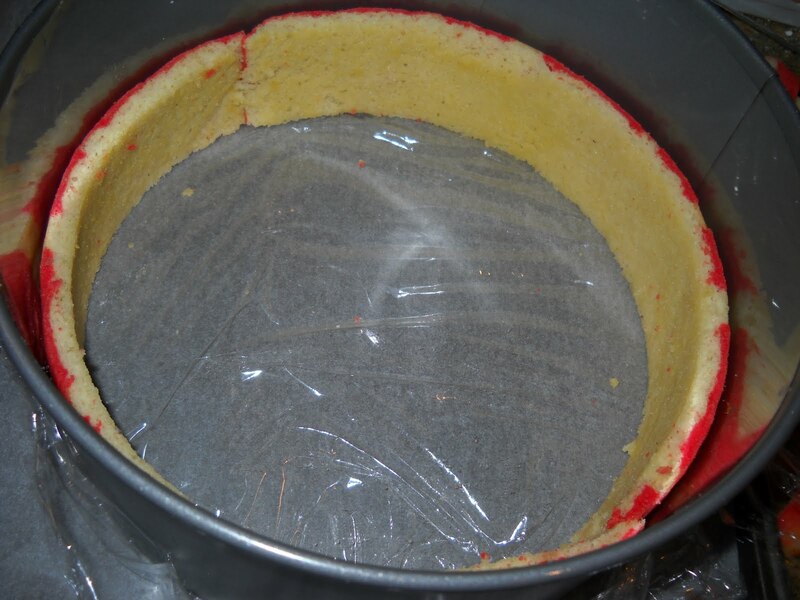 You need your icing to be runny enough to dip and coat the cakes, but not so runny that it doesn't stick, so you may need to play with the quantity of water. 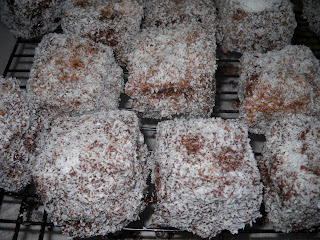 After dipping the cubed cakes into the icing balanced between two forks (which can then be used to roll the cakes in the icing to coat them), roll the coated cakes in dessicated coconut, which will help to set the icing and give the lamington its characteristic woolly appearance. 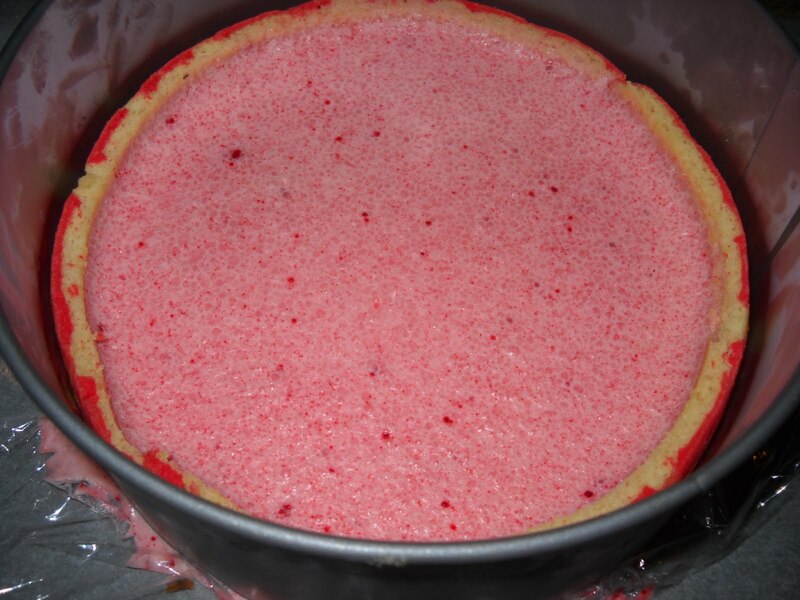 The forks are also important because they prevent cake crumbs and coconut from being transferred from your fingers into the icing, which causes it to clump. 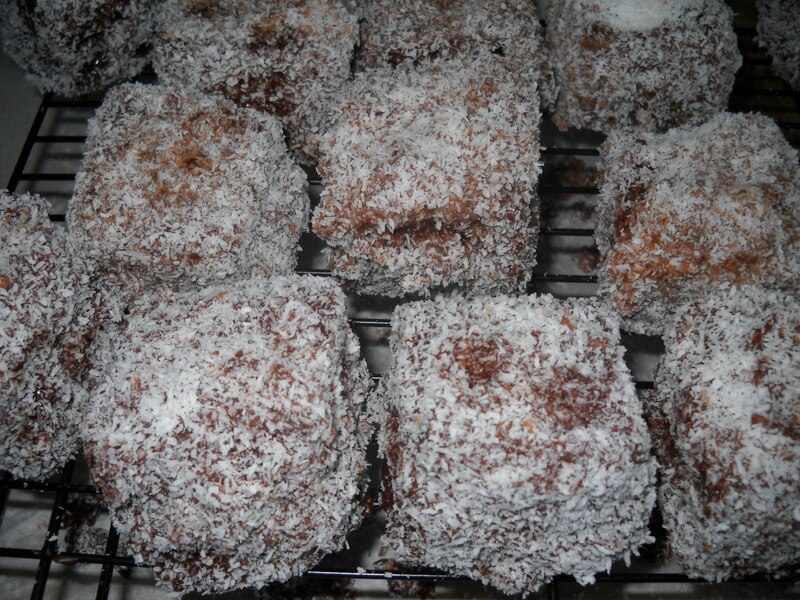 The coconut-coated cakes are then placed on a wire rack to set, which allows the excess icing and coconut to drip off. A cross section of the chocolate caramel lamington appears at the top of this post. Mr P is offering prizes for the best two reinvented lamingtons, so if you fancy a shot at winning, get your thinking cap on and make your own reinvented version of the lamington. You have until Australia Day (26 January) to enter. 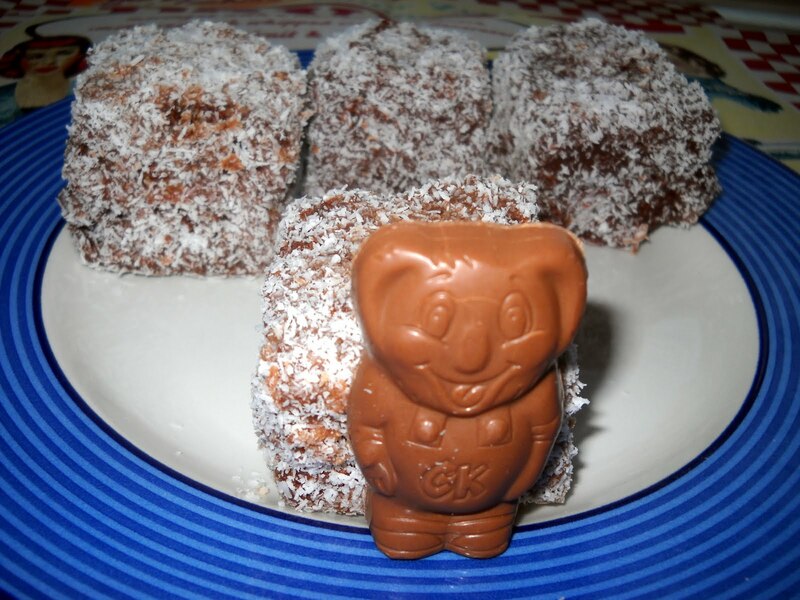 Mr P will also feature a round up of the reinvented lamingtons after the competition has closed. Don't you love lemon baked goods? They are just like sunshine captured in food form. 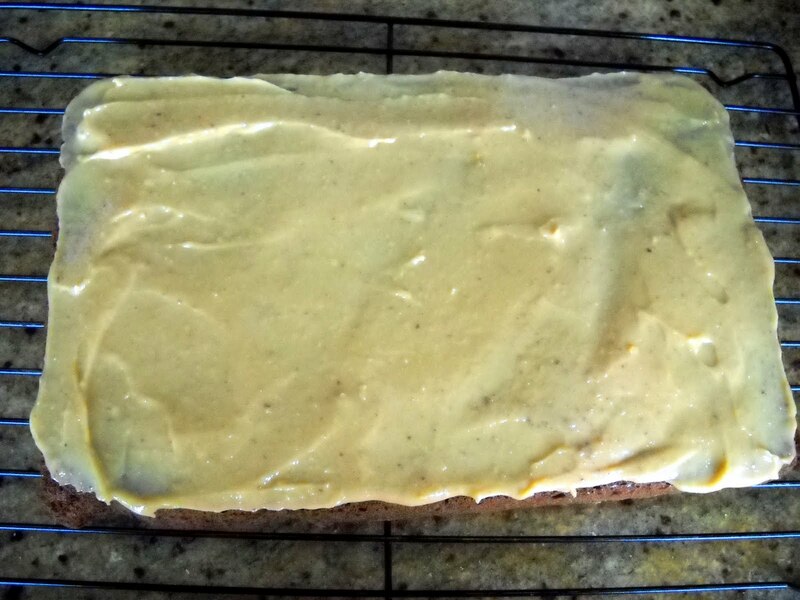 For this reason, I was delighted by this week's Tuesday with Dorie pick, by Betsy of A Cup of Sweetness, of Lemon Poppy Seed Muffins. 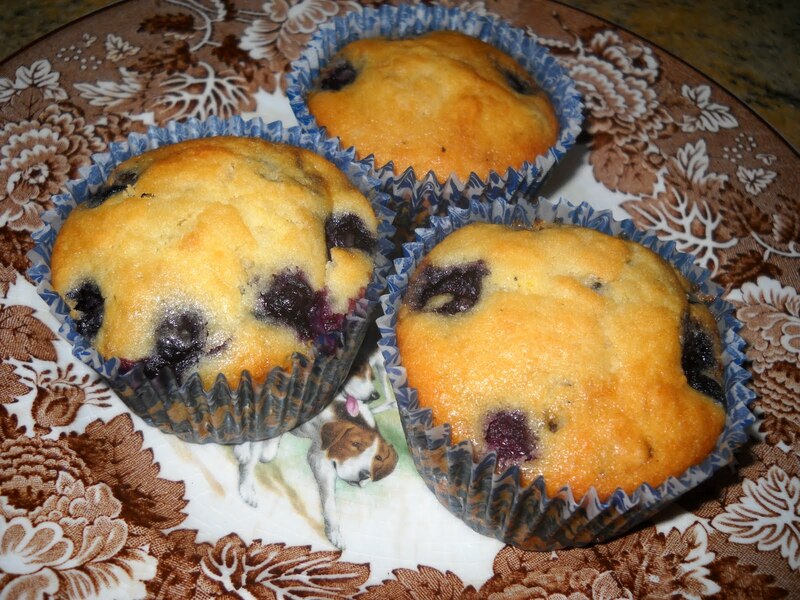 These muffins were super easy to throw together, and have a lovely tang from sour cream. They went very quickly at work - popularity is always a good sign. To see what the other TWD members thought of these muffins, see the bakers list at the TWD website. 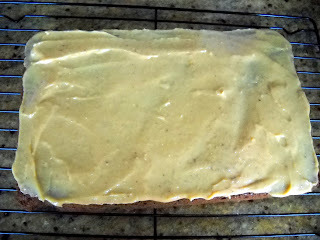 This blog is mostly about baking, but sometimes, I think a break from all things sweet is good. 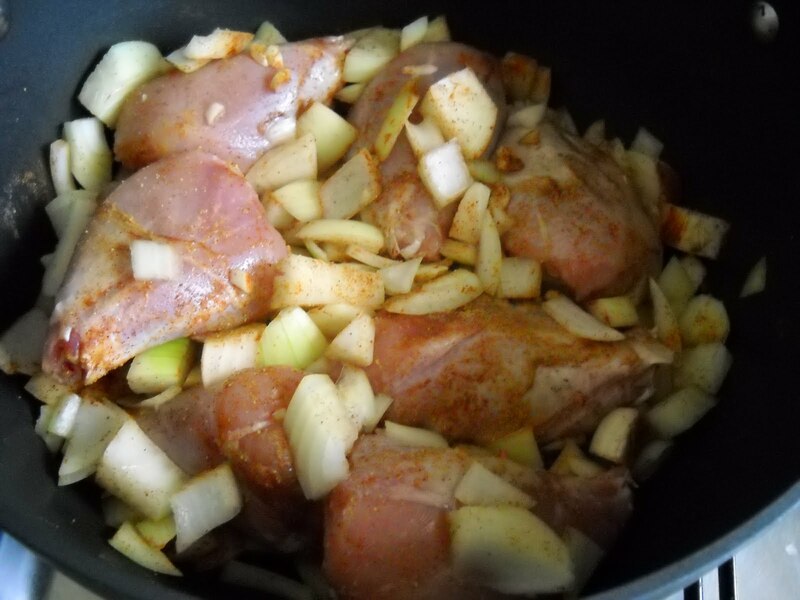 Accordingly, for a change, I am going to share a savoury recipe which is typical of the kind of dish I like to eat. This version of chicken tagine does not contain any dried apricots (dang! ), but it does taste good. 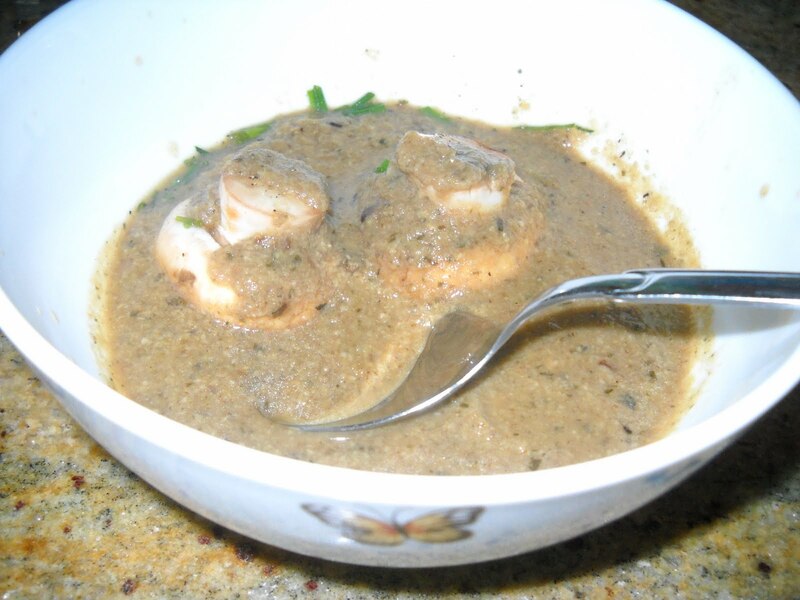 There are sufficient spices in it that it has quite a kick - if you like a little less kick, you should bear this in mind when making this. 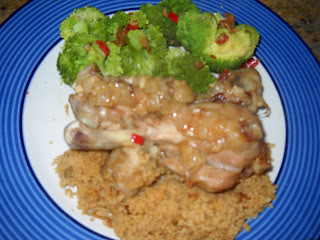 The other dish that I made to accompany my tagine and to give me some much needed veges was Jamie Oliver's Broccoli with Asian Dressing from Jamie's Ministry of Food. I would never touch broccoli as a child, but I am now rather fond of it, and it is even better with this fabulous Asian dressing. Break the broccoli up into little florets. Steam the broccoli florets for 6 minutes or until the broccoli is tender (all you need is a colander set over a saucepan of boiling water, with the colander covered with a piece of alfoil). 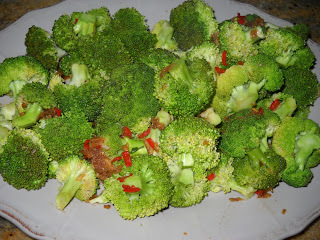 While the broccoli is steaming, grate the ginger and garlic into a bowl. Halve, deseed and finely chop the chilli, and add to the bowl. 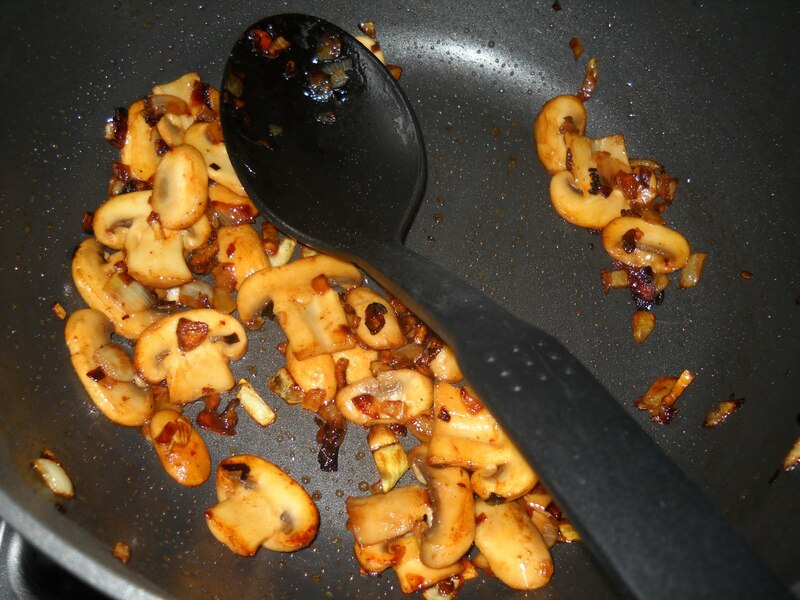 Stir in the oils, the soy sauce and the lime juice. Add the balsamic vinegar, stir and taste. When the broccoli is steamed, place it on a serving plate, and pour over the dressing. This broccoli is delicious - I highly recommend it. The opening photo says it all! 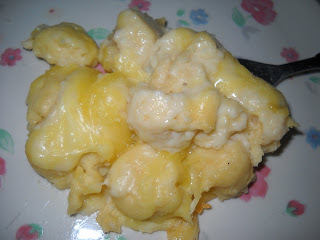 Yes, when I saw that this week's French Fridays with Dorie recipe, Gnocchi a la Parisienne, was effectively dough balls in white sauce and cheese, I felt slightly green. 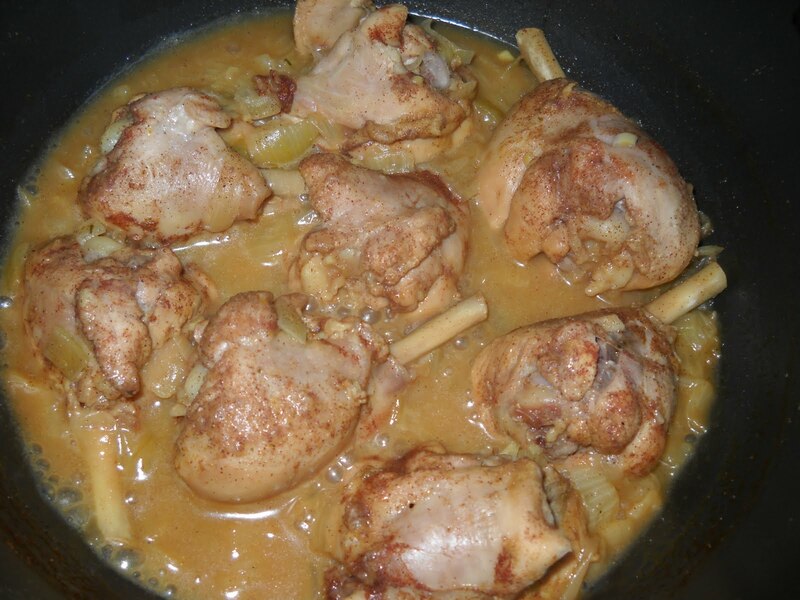 This is a dish that never in a million years would I have chosen to make by myself. However, the food adventurer in me stepped up to the plate and made it anyway, and you know what? It ain't half bad. Gnocchi a la Parisienne is really just mac and cheese with balls of boiled dough instead of boiled pasta, and it tastes just fine - sure, a little on the nursery food side, like mac and cheese, but seriously not bad. It would be perfect as a midnight snack after coming home from a hard night out. 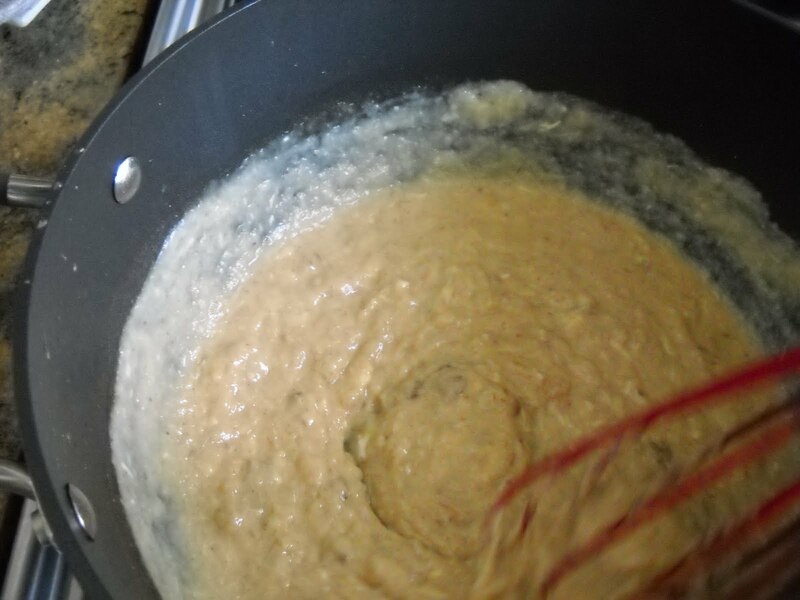 The bechamel sauce was rather thick, so I found it difficult to spread over my dough balls, but overall, this is a relatively easy dish to make. 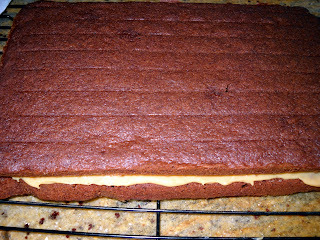 As I didn't want to eat this for the rest of the week, I cut the recipe down to "perfect for two" size. And here is the finished dish after baking - scary, isn't it! 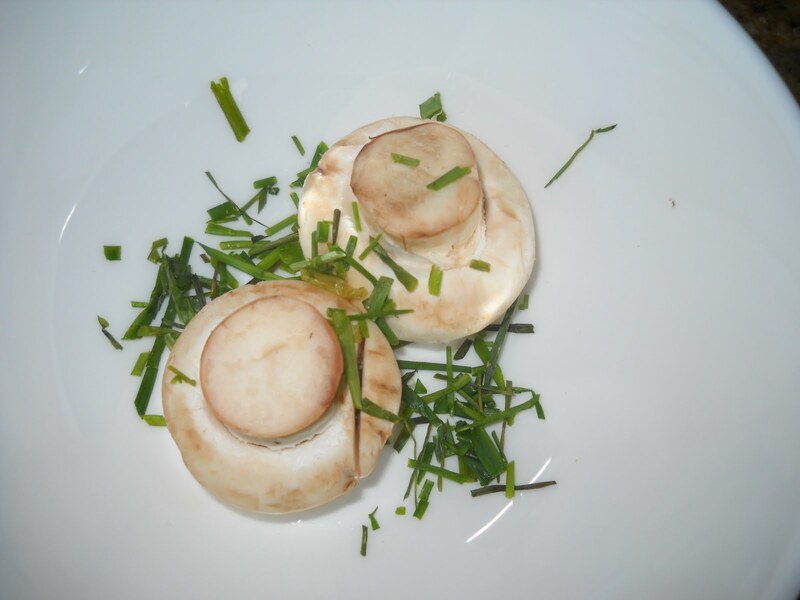 To see what the other FFwD members thought of this dish, check out the LYL section on the website. I finish with a quick message to the people of Brisbane, who are currently affected by major floods - my thoughts are with you, and hope that you stay safe. When Dorothea MacKellar wrote My Country, first published in 1908, she hit the nail on the head with these lines. Aged 8, I helped my class to decorate our grade three classroom with crepe paper and painted cardboard in vivid oranges and reds and yellows for the Carnival of Flowers, never suspecting that in my adult life, I would experience for myself the truth of Dorothea's words so close to home. My home town of Toowoomba went through around 5 or so years of drought, and survived on tough Level 5 water restrictions for much of that time, with its dams for its water supply down to 7% capacity. Now, in a strange irony, for the first time in almost 11 years, the dams are at 100% capacity, and the town experienced heretofor unheard of flash flooding on Monday afternoon. Unfortunately, two people were caught in those floods in the CBD and died, and much of the CBD has been devastated, with the fast flowing waters causing mass destruction. Unlike the floods earlier this month further north in Queensland, Monday's flood struck without warning and hit hard. One of the parts of town worst hit by the foods is where the lovely Platform 9 tearooms that I introduced you to recently are situated. I have no idea how it fared, but I know that many shops in the area had their windows blown out by the water and their contents swept away down the main streets. For one of many examples on YouTube, here is one filmed near the Greyhound bus depot. Thankfully, my family and their home are safe and well, but my heart goes out to those who are not so fortunate. Moving right along ... 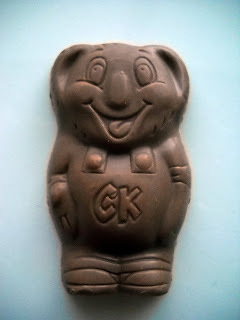 Remember my poor unloved stollen from Christmas? 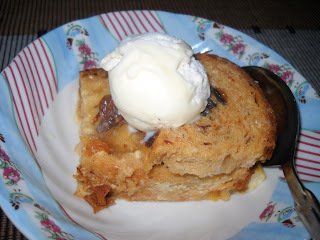 I decided to make it into bread pudding. 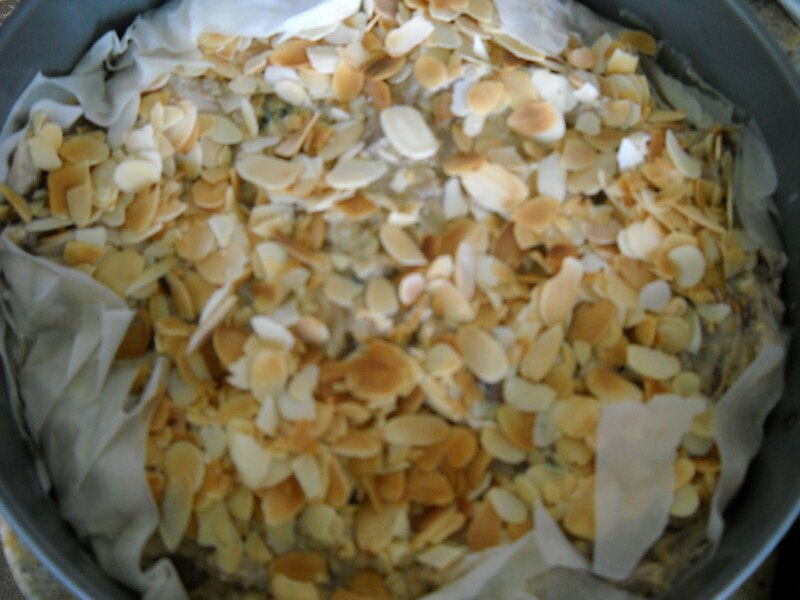 For half of the stollen, and bread pudding attempt no. 1, I used this recipe for bread and butter pudding in The Guardian. It claims to be "perfect" bread and butter pudding. Hmm, I am not sure that I agree. It tastes OK, but is a little lacking in custard - although it was silky smooth and not at all eggy. I recommend at least doubling the custard. It doesn't beat Donna Hay's marmalade version that I have tried - I might try that with the rest of the stollen. 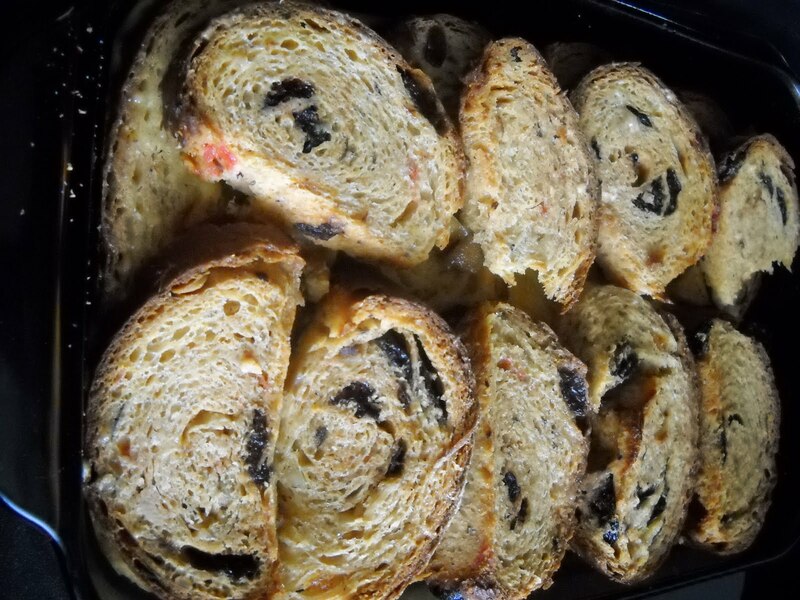 Do you have a favourite bread and butter pudding recipe? If you do, I'd love to hear about it. Hello Tuesday! You know what that means - Tuesday with Dorie. This week, it's the turn of the lovely Margot from Efforts to Deliciousness to choose the recipe, and she picked Fluff-Filled Chocolate Madeleines. Do take the time to stop by Margot's blog, and do say hi to Eloise while you are there. 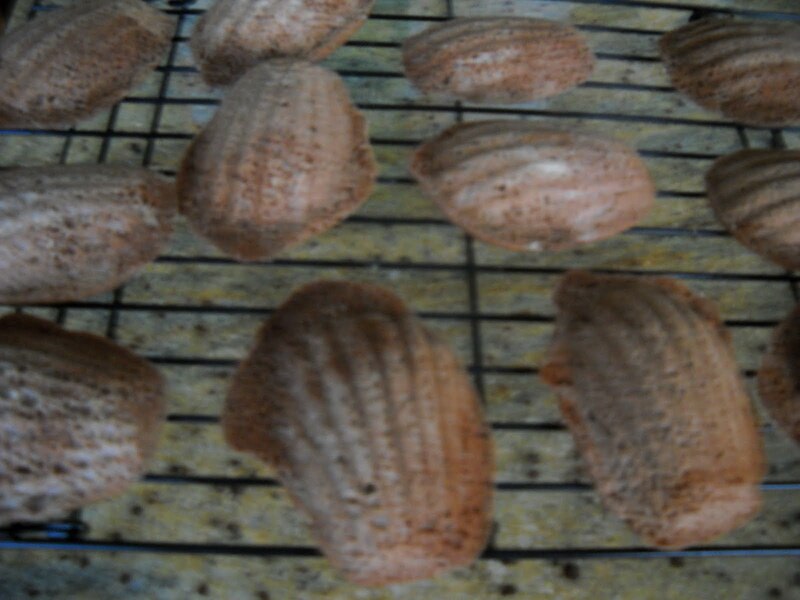 You really can't pipe much filling in before the madeleines start to explode. My madeleines therefore are not elegant - but they do remind me of The Beatles in their mop top days. 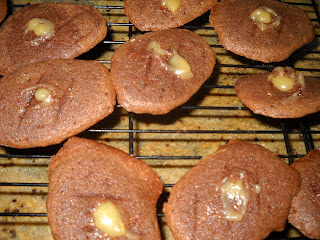 Thanks to Margot for hosting us this week - she will have the recipe, as well as it being in Dorie's book. 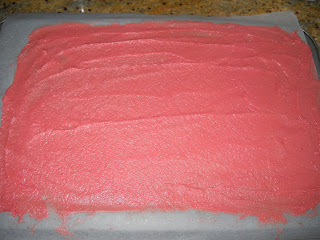 To check out how the other TWD bakers went, visit the TWD blogroll. Howdy and welcome to the first French Friday with Dorie for this year. We are all making the same recipe again, and this week, it is Paris Mushroom Soup. I would be lying if I said that I wanted to make this. As I have mentioned before, I am not a particular fan of soup, and a soup with raw veges in the bottom and made of mushrooms cooked in chicken stock doesn't sound very appealing. However, I divided the recipe by 6 and made soup for one - and I actually didn't mind it. I won't be making it again, but as a once-off experience, it was fine. If you like soup and are a fungus fan, this soup may please your palate. I thought it was just fine, and tasted better than many other soups that I have endured in my lifetime (condensed pea with ham, anyone?). 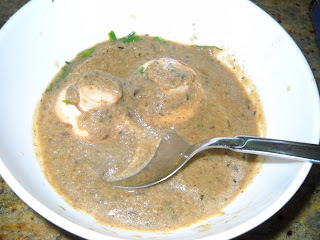 Check out the LYL section of the FFwD website to see what everyone else thought of this soup. Good morning! How are you faring after the holidays? I have to say that it was difficult dragging myself into work after getting used to doing as I pleased, but unfortunately I need the dosh, so off to work I went! Day one was not too bad - I think a lot of people are still away, and I did a horrendous tender response due this week while I was on leave so that I didn't come back with it hanging over my head. The pressure of it would have done my head in. I needed something to pop into my lunch bag for morning tea at work this week. 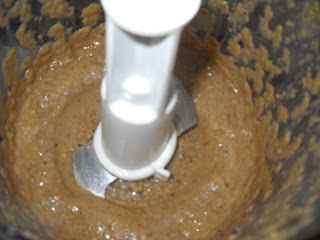 I was going to make the muffins we have on our list for TWD in a couple of weeks, but they called for sour cream - this is not something I keep in the house, especially when I have been away for a week and a bit. Instead, I turned to one of my newest cookbooks for inspiration - In the Kitchen by Allan Campion and Michele Curtis. Allan and Michele are Melburnians, and you can go on shopping tours and do cooking classes with them. Their book was a recent book club offering at work, and as it was chunky and practical and cheap as chips (much less than the RRP), I couldn't pass it up. 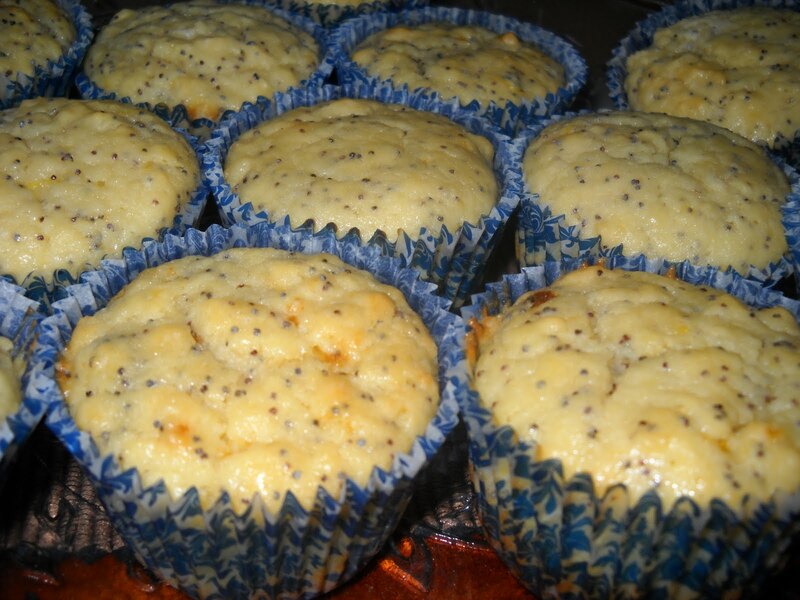 I wanted muffins, but they had to contain ingredients I had in the house, and they couldn't be outrageously sinful (ie packed with butter, chocolate, coconut, Oreos etc). In the Kitchen contains a recipe for Basic Muffins - it fulfilled my criteria, and even better, it only makes a small batch (6 muffins - although I got 8) so that I am not chomping on the same muffins ad nauseum. They are also quick and easy - no equipment other than a bowl and a spoon plus measuring cups is required. I followed the recipe to a "T", except that I substituted the 50g of melted butter for 50ml of canola oil, and threw in a punnet of blueberries for flavour. Simple! Preheat your oven to 180 degrees Celsius, and line 6 x 1/2 cup muffin holes with paper muffin cups. 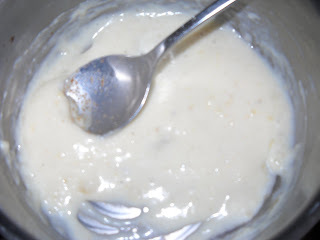 Place the flour, sugar and salt into a bowl and mix briefly to combine. 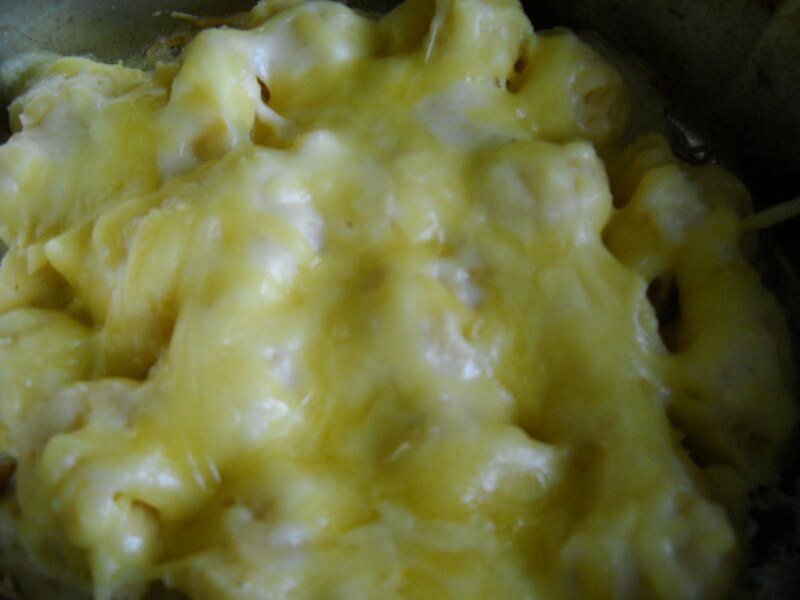 Add the vanilla, egg, butter and milk to the bowl, and beat until smooth. (I mixed the wet ingredients separately in a jug before adding them to the dry ingredients, to make it easier to combine them.) Toss in the blueberries (or any fruits or nuts or berries or choc chips that take your fancy) at this stage, and stir gently to just mix through. 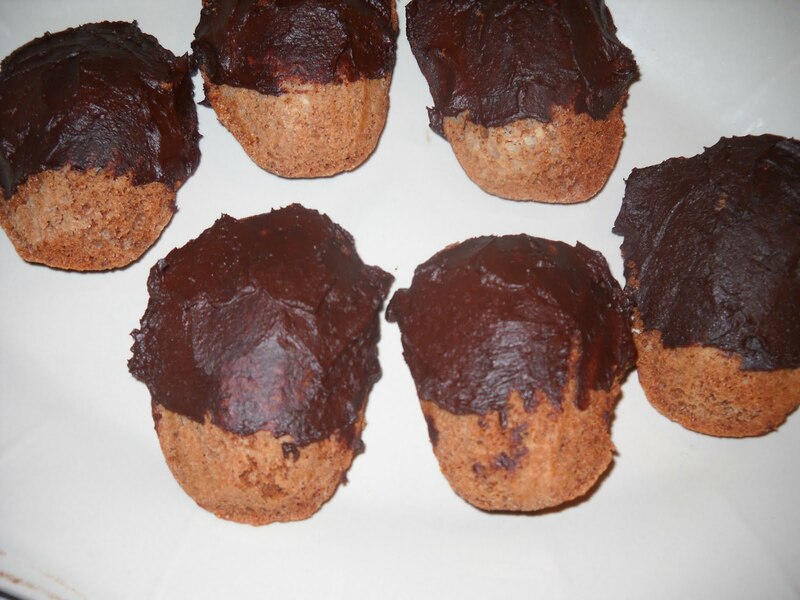 Spoon the batter equally into the 6 muffin cups, and bake in the preheated oven for 20 minutes or until the muffins are golden on top and risen. 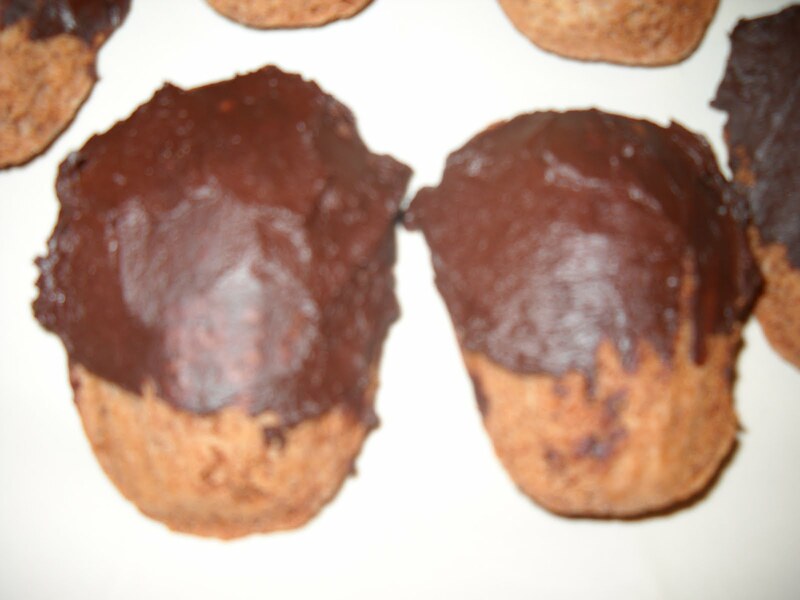 Remove the muffins from the oven and turn them out onto a wire rack to cool. Enjoy with a coffee or just by themselves. My muffins are displayed on a plate given to me by my brother for Christmas. It is a "vintage" plate from an antique store, and features a hunting scene - just people in red coats riding horses with a beagle, nothing more gruesome than that. I quite like it, and it was very thoughtful of my brother to buy it, as he did so specifically for me to display my baking on. Well done bro! Happy New Year! It's a new year for Tuesdays with Dorie as well, and to kick it off, the founder of TWD, Laurie of Slush, and Jules of Someone's in the Kitchen, selected Dorie's Midnight Crackles for us to bake. 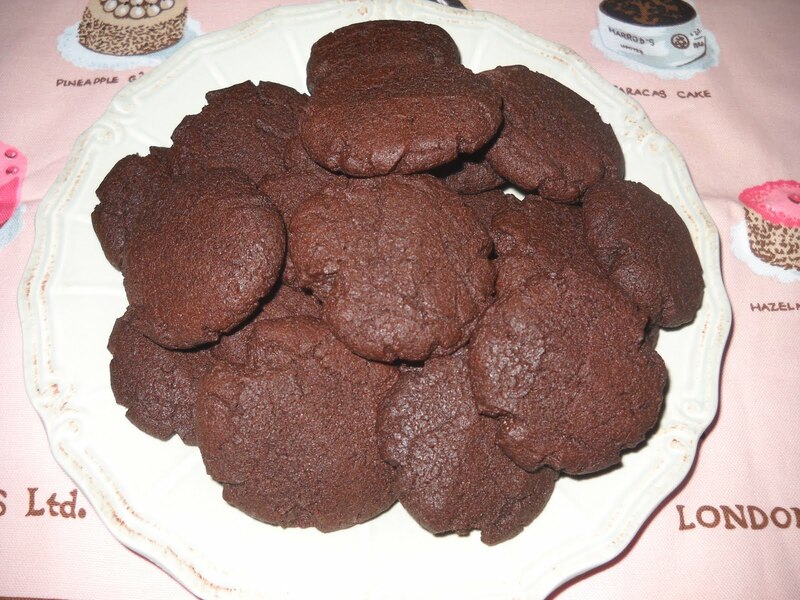 These are deep, dark and chocolatey biscuits - a true chocolate lover's delight. 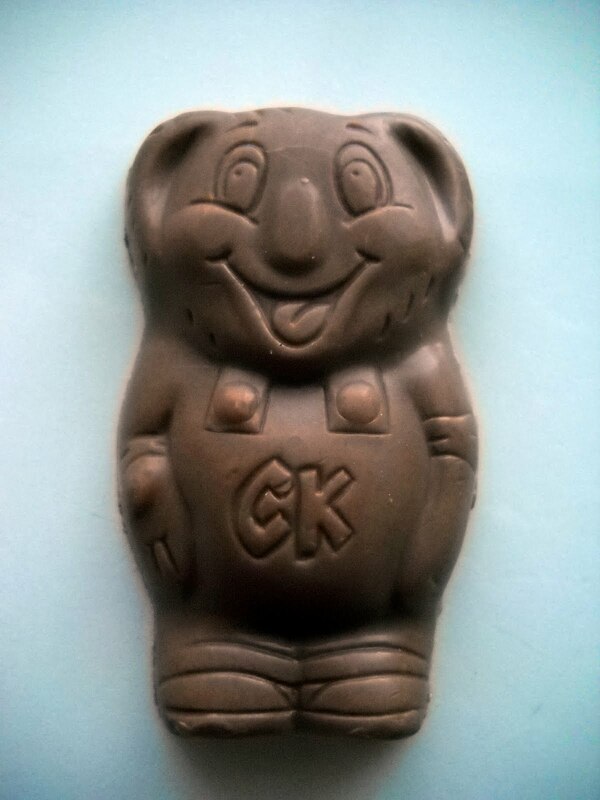 They are made with melted chocolate, not cocoa, which ups the ante for the chocolate lover. My biscuits were crisp on the outside and soft in the middle - I am not sure whether this is how they were supposed to be, but I was happy with the result. These biscuits were so good that I packaged up as many as possible into a pretty box (decorated by moi), tied the box with a ribbon, and gave it to our lovely Pilates night receptionist, Tiffany, who is leaving for the Gold Coast. 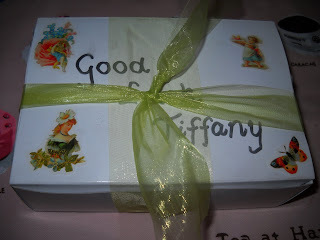 We will miss you Tiff! 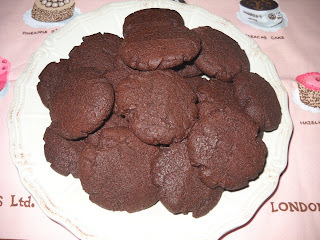 Dorie suggests that these biscuits can also be spiced up with some ground ginger or candied ginger - this would be worth a try next time, as chocolate coated ginger is one of my favourite things. (Santa knows this and duly left me a box of it under the tree this Christmas - thank you Santa! To see what the other TWD members thought of these biscuits, visit the TWD blogroll. 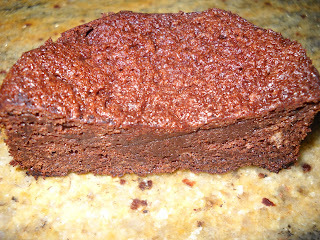 If you would like the recipe, visit Jules (website above), or buy Dorie's sensational book, Baking From My Home to Yours. While I was on holidays with my family, I took us all out for morning tea at Platform 9, the old Railway Refreshment Rooms at the Toowoomba Railway Station. The charm of Platform 9 is that it preserves the old world atmosphere of the Railway Refreshment Rooms for younger generations to enjoy, with many original furnishings, cutlery and crockery, and cabinets displaying artifacts from a by-gone era. Wouldn't you love to take a picnic basket like this on your trip today (although it would be very heavy with all that crockery)? If you are ever passing through Toowoomba, Platform 9 (which also serves lunch and dinner, Tuesday to Saturday) is well worth a visit for a trip down memory lane.